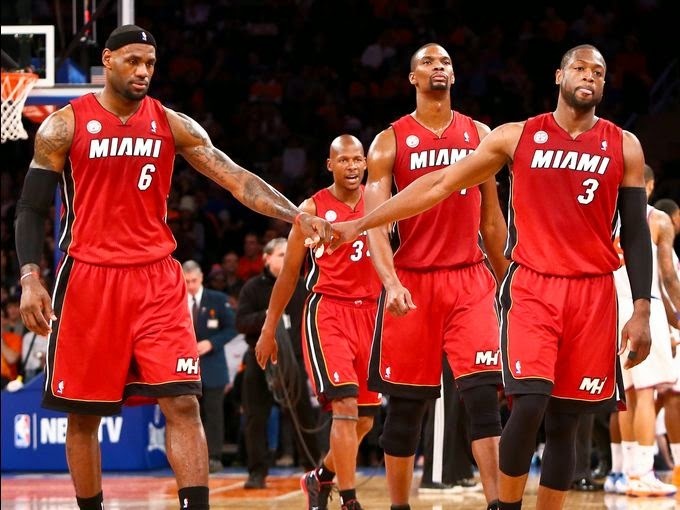 AFRICAN AMERICAN REPORTS: Did the Miami Heat lose games to avoid playing the Bulls or Nets? Did the Miami Heat lose games to avoid playing the Bulls or Nets? They claim that since both the Nets and Bulls have winning records against the Heat that Miami is trying to avoid both teams in the second round of the playoffs. Now those people forget that in the playoffs things are different and the games slow down. Sweeping a team in the regular season can mean nothing in the post season. Especially not against a playoff tested team such as the Heat. 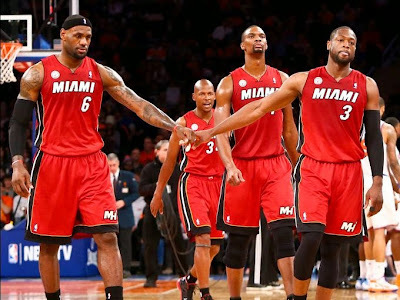 There are reasons why the Miami Heat should beat both teams. Chicago has a great defense (actually the best in the NBA) but at the time of this writing are the worst scoring team in the NBA with a 93.8 average. Yup, that's right both Milwaukee and Philadelphia score more per game than them. Chicago has no go to player in the clutch for a basket. While D.J. Augustin may be their leading scorer it's a stretch ( a Plastic Man like stretch ) to say that he is anywhere near clutch. Joakim Noah has the heart of a line but he has the offensive game of one too. I don't think the Bulls can score enough points on a consistent basis to beat the Heat. The Brooklyn Nets no doubt have played very well lately. But they wont beat the Heat either. Does anyone really believe that a team that has had many chances to narrow the gap between themselves and Toronto in head to head matches and has failed to do so is a threat to Miami? Brooklyn relies on two players who get discounts when they go grocery shopping by showing their AARP cards. Those players would be Paul Pierce and Kevin Garnet. They were great once but can they stay on the floor long enough to make a difference? Their best player Deron Williams has to be constantly reminded that he is the best player. Jason Kidd has had a great rookie season as a coach but we simply have no idea how he will coach in the playoffs. Will he defer to the veterans even if they are not playing well, which big man loses playing time with the emergence of Jason Plumlee, how short of a leash will he have on Andray (there's no such thing as a bad shot) Blatche? Because of all those reasons I believe the Heat have nothing to worry about if they face the Bulls or Nets and have not thrown any games to avoid them. What do you think?